Get ’Em While They’re Cold! It only takes a couple of days of warmer temperatures and bikes begin to appear and a few hearty spring enthusiasts can be spotted wearing shorts. While the Northern Hemisphere has warmer weather and longer days the Southern Hemisphere makes its’ move into winter. The days become shorter and temperatures start to change. The time to visit the Earth’s Polar regions is clearly defined by season. May through September is “Arctic Season” with December through March the being the explore “Antarctica” window. Whether your travel inspiration is spurred by the changing season or an adventure that’s been at the top of your bucket list, now is the perfect time to book a Polar Expedition Cruise. Cruise in 2020 and early 2021 and save up to 15%! Gather your best friends (4 to be exact), share a cabin and for $6029 and 11 exciting days you’ll see icebergs, glaciers, lounging seals, grazing reindeers and colonies of birds under the midnight sun. These northern wonders will have you return home a different person than when you left! If your bucket list is to celebrate your next anniversary (or simply celebrate life) with an Antarctic Adventure 2020 - 2021 is the perfect time and savings are significant. Whales, albatross, leopard seals, towering glaciers and the star of the show PENGUINS for 13 days and a dream come true was $12,399 per person is now $11,160 each! The ship is intimate with only 134 travellers plus a friendly crew, lecturers and wildlife naturalists. Expedition cruises range from 8 to 22 days. Call us. We'd love to give you all the details and juicy savings! 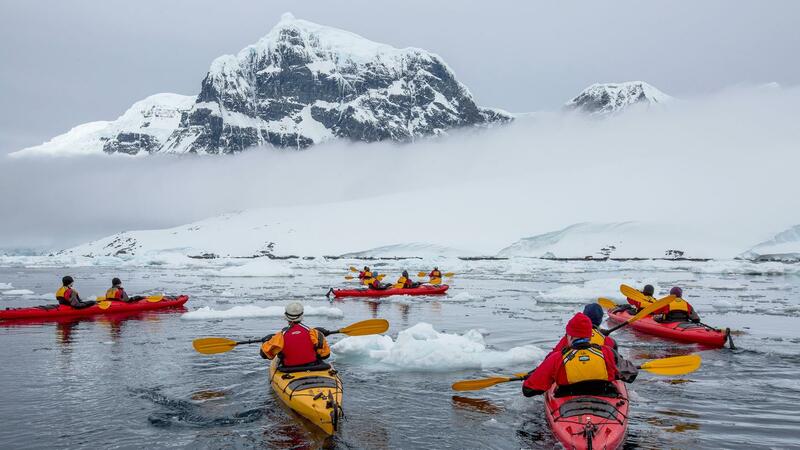 Spring is in the air and there’s no better season to plan a Polar Adventure. YAY!